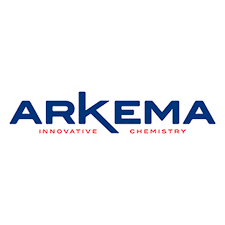 Joining Arkema therefore means joining a growing group, which has followed an exemplary course since its beginnings and has high ambitions for itself and its employees. Thanks to its talents, their development and their everyday commitment, the Arkema Group today is a world player in innovation and a leader in its markets. The Senior Product Safety Specialist, working closely with each Business Unit for which the position is responsible, will complete activities to assure compliance with legal and corporate product safety and regulatory affairs requirements in a cost effective and efficient manner. The Senior Product Safety Specialist will support the Manager, Product Safety and Regulatory Affairs for each BU for which the position is responsible to implement practical technical and strategic product safety approaches that are dynamic and integrated with sound business management principles, fiscal responsibility, risk management techniques, and communications procedures. This position is located in King of Prussia, PA and reports to the Manager, Product Safety & Regulatory Affairs. Preparing and maintaining commercial and R&D composition databases, SDSs and labels, packaging requirements, certificates of compliance (Kosher, FDA, RoHS etc. ), product registrations and approvals (including FIFRA, NSF, UL, etc. ), for each Business Unit (BU) and otherwise ensure ongoing compliance with international, federal, state, local, and corporate product safety requirements for such BU products. Counseling and advising each BU in areas of product safety (including TSCA, FIFRA, FDA, OSHA Hazard Communication, Hazardous Materials Transportation), product regulatory affairs, product stewardship, and product risk management as such areas may impact the research, development, manufacture, marketing, sale, handling, transportation and advertising of the BU(s) products. Proposing solutions to solve product safety regulatory issues in a sustainable, sound, safe and cost-effective manner. Maintaining a thorough knowledge of emerging technical and regulatory issues pertaining to each BU and its products. Supporting Manager, Product Safety & Regulatory Affairs in efforts to effectively advocate the Company’s product safety and product stewardship positions with trade associations, government agencies and non-governmental organizations. Providing timely and appropriately responses to product safety and regulatory affairs inquiries from customers, users, and agencies, and others regarding the BU products. As directed, conducting training for BU research and development, commercial and manufacturing personnel, and customers on product safety and regulatory affairs issues related to the BU products. B.S. Degree in relevant field of study (e.g. environmental science, biology, chemical engineering, chemistry, toxicology) or equivalent and 5 years experience in a product safety/regulatory affairs or related area. A knowledge of relevant federal and state laws and regulations governing product safety such as TSCA, FIFRA, FDA, OSHA Hazard Communications, hazardous materials transportation as well as knowledge of product risk management and product stewardship is essential. Strong interpersonal and written and oral communication skills, and must be capable of interacting with diverse groups at all technical levels such as customer service, plant personnel, R&D, customers, technical consultants, contractors, etc. Current proficiency in standard office software (i.e., word processing, spreadsheet, database, and presentation packages), as well as, the ability to learn specialized applications such as SAP and ARIEL required.